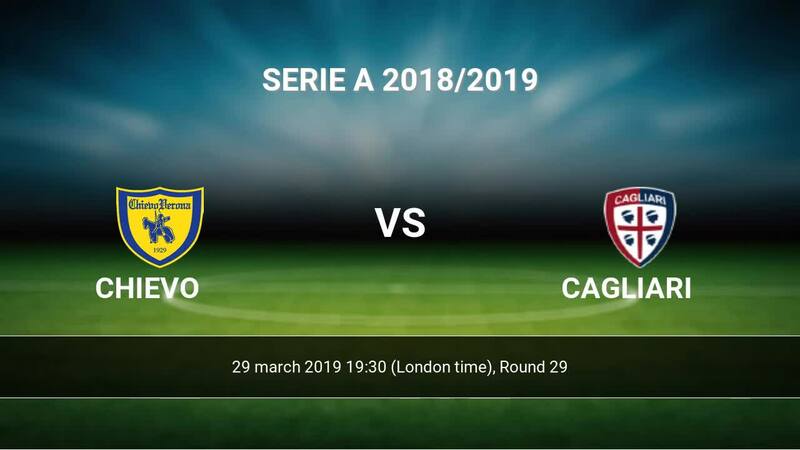 Match Chievo-Cagliari Serie A the fixture is set to kick-off today 19:30 on Stadio M. A. Bentegodi. Refereee Rosario Abisso. Team Chievo is in the releagtion zone of the table. 20 position. 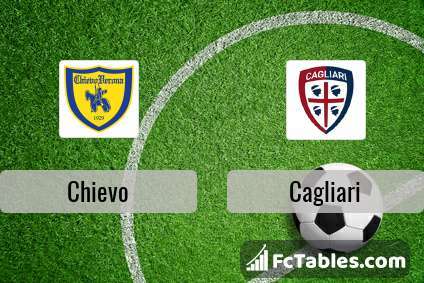 Chievo in 5 last matches (league + cup) have collected2 points. 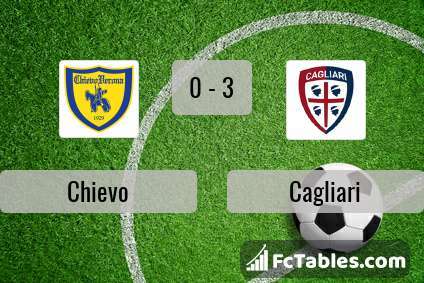 Chievo did not win the match from 9 games. Leading players Chievo in Serie A is: Mariusz Stepinski 6 goals, Sergio Pellissier 4 goals, Emanuele Giaccherini 3 goals. Players Mariusz Stepinski 1 assists, Sergio Pellissier 1 assists, Emanuele Giaccherini 1 assists will have to be very well guarded by defenders Cagliari, because they have the most assists. In Chievo not occur in the match due to injury: Matias Ezequiel Schelotto, Andrea Seculin, Nenad Tomovic. Team Cagliari is located in the middle of the table. (14 place). In 5 last games (league + cup) Cagliari get 9 points. Cagliari from 12 matches away can not beat any rival. Players Cagliari in Serie A with the highest number of goals: Leonardo Pavoletti 10 goals, Joao Pedro Galvao 5 goals, Diego Farias 3 goals. Most assists in the club have: Leonardo Pavoletti 1 assists, Joao Pedro Galvao 3 assists. Injuries in the team Cagliari: Ragnar Klavan, Lucas Nahuel Castro. Direct matches: Chievo won more direct matches. 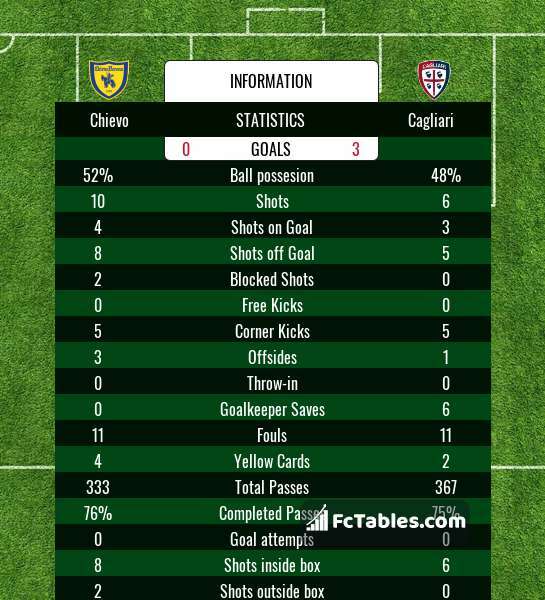 Chievo won 13 matches , Cagliari won 7 direct matches, was a 9 draws. In 11 matches the sum of the goals both teams was greater than 2.5 (Over 2.5), and 20 matches teams scored more than 1.5 goals (Over 1.5). In 13 matches the both teams scored a least one goal (Both teams to score).